A t 230 and counting, a teenaged Paul George was having the game of his life when everything he launched resulted in pins flying into oblivion for strikes. He felt like every trip to the lane was magical. 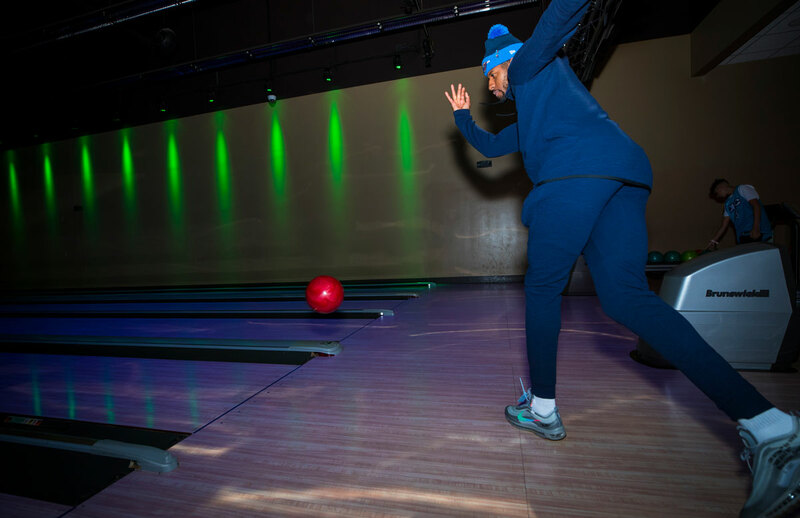 Although George was automatic, he was rushing each throw because the Palmdale, California bowling alley was shutting down the lanes for closing time. Ultimately, he didn't get to finish what could have been a perfect game. 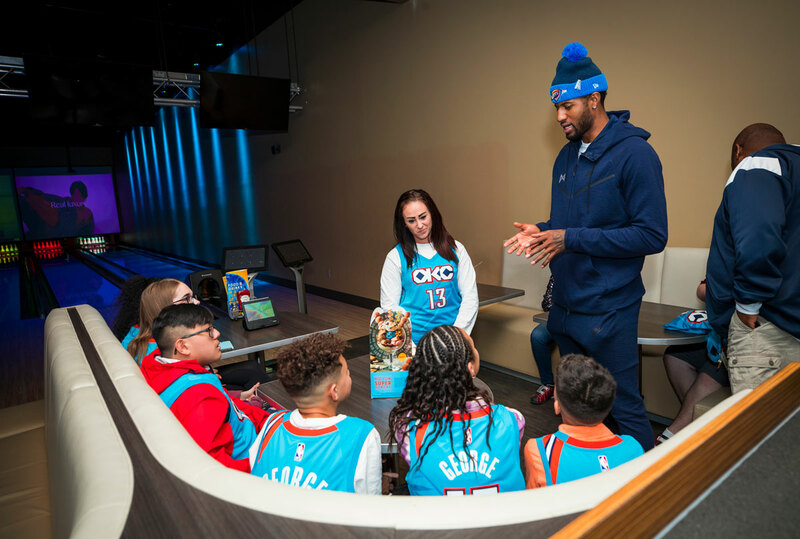 The what-if moment was groan-worthy for George reminiscing about one of his favorite bowling memories at Main Event Entertainment for his annual PG Christmas Celebration on Saturday. 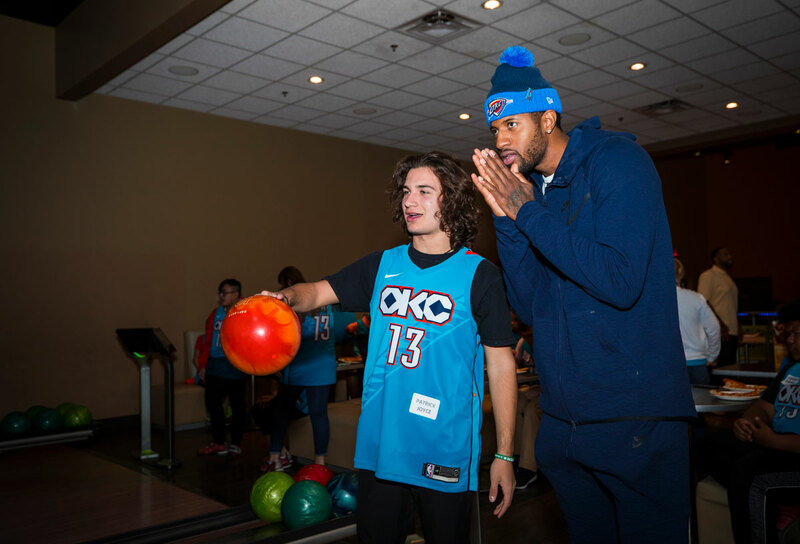 For the second year in a row in Oklahoma City, the afternoon gave the Thunder forward a chance to spend time and get life updates from stroke survivors and their families. Several of the guests on hand attended George's party last year through his foundation. And some of the girls and boys have grown since then. "Seeing the familiar faces, it was good to see where they're at," said George. "The kids have gotten bigger. They feel more comfortable around me." 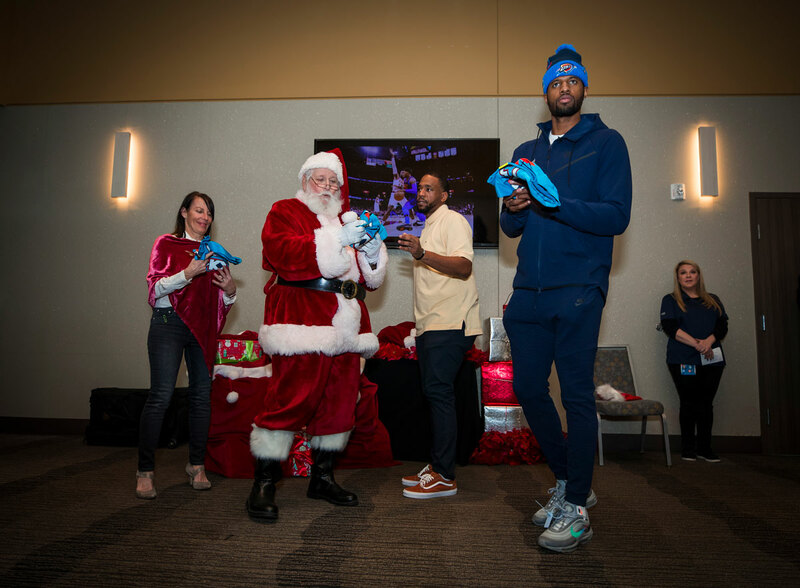 Reprising his role as Jolly Old Saint Paul, George along with Santa Claus arrived with a big red sack full of the Paul George City Edition jerseys for the excited families to tipoff the festivities. So for him, the special day was centered on gathering everybody to connect and support one another while letting loose for fun and games. After all, George and his guests shared the same testimony. "It means a lot to be able to see other families and how they're coping," said Michael Ray, stroke survivor. 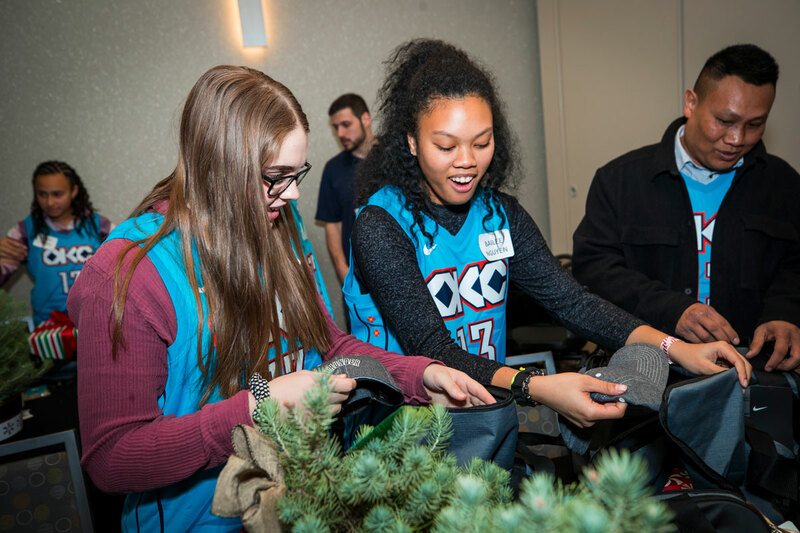 "It helps bring a good time to families who are stuck indoors all the time." 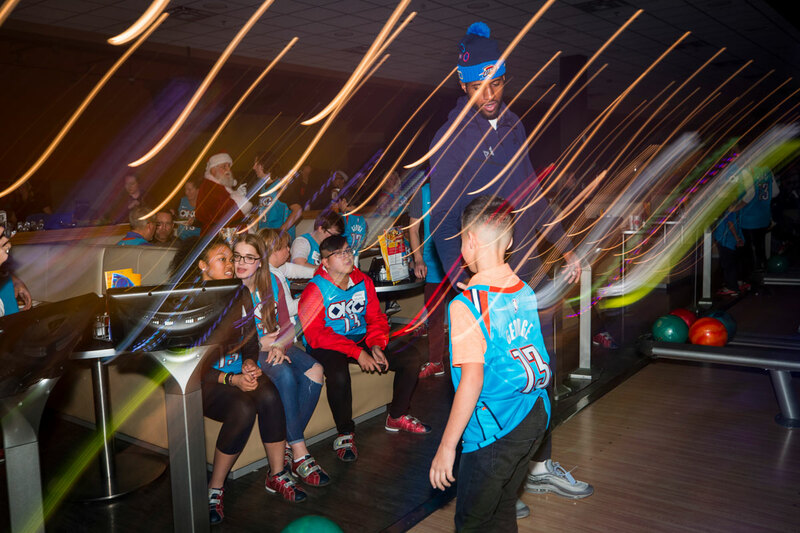 Another stroke survivor, young Jon Mance reflected on the unforgettable day that featured pizza, bowling, laser tag and family photos with one of the leading voices in stroke awareness in George. "I have a lot of hard days of adversity. It's nice to be able to relax and enjoy seeing Paul George and talking to him," said Mance. "I made some connections with other survivors. It was a good experience." By the end of the day when the families returned to their tables, George delivered one last surprise for a personal touch. 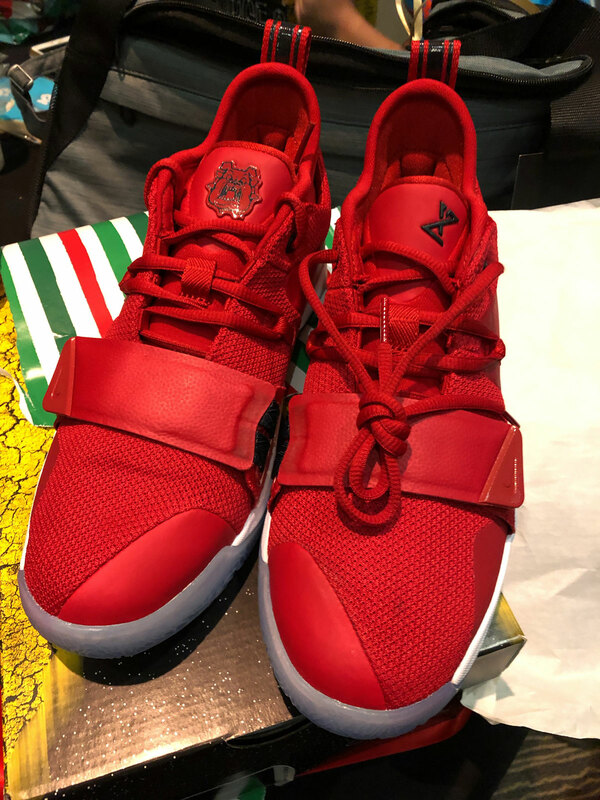 Pulling out the box in a duffle bag, each guest came away with a pair of Nike PG 2.5s in gym red inspired by George's alma mater Fresno State.